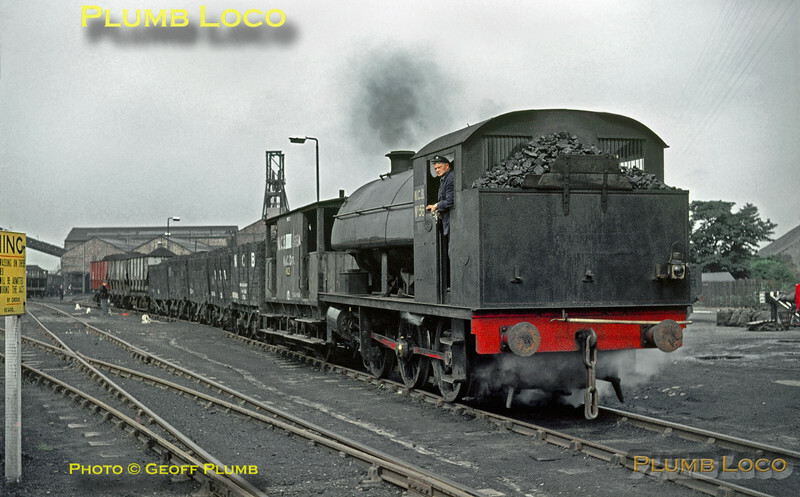 In the yard at Dudley Colliery, 0-6-0ST OC NCB No. 56 (Robert Stephenson & Hawthorn 7602/1949), has made up a train and is about to take it to the exchange sidings with BR at Seghill on the Blyth & Tyne line, Wednesday 4th August 1965. Slide No. 1556.